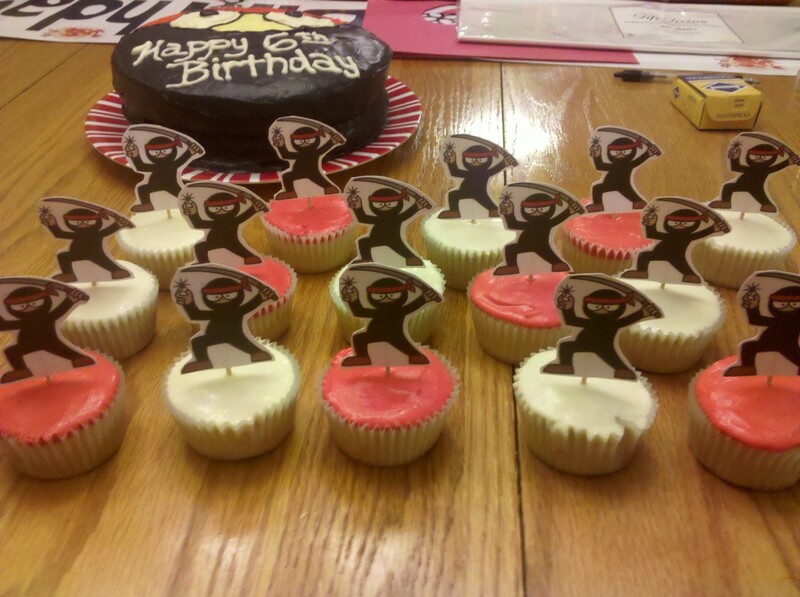 Plan a great ninja-themed birthday party with these easy, do-it-yourself ideas. You don't have to spend a lot of money to make your little one happy. Let me show you how I saved money on making my own invitations, decorations, goodie bags, and birthday cake while still planning a fun party for my little boy. It happens every year: my son never picks any of the birthday themes that are easily available at Walmart, Party City, etc. He always picks a theme that you can find on the Internet, but unfortunately you will spend an arm and a leg in shipping costs. This year was no different than any other. He picked a ninja-themed birthday party. 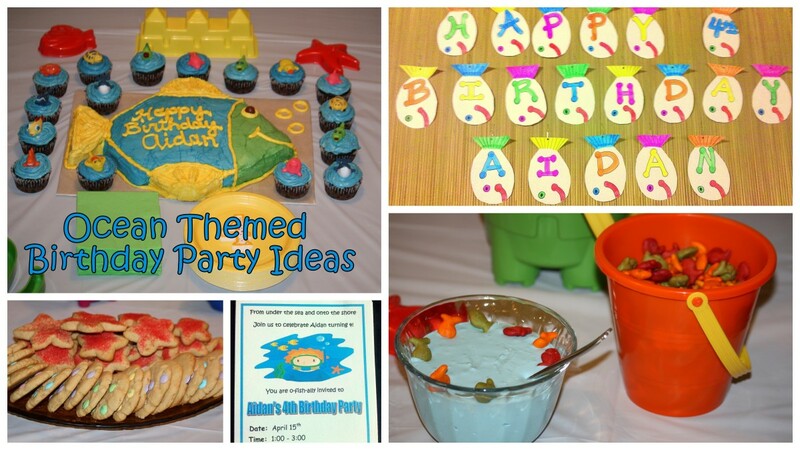 All of the birthday party ideas turned out really cute and surprisingly was the easiest and least expensive party that I have planned to date. 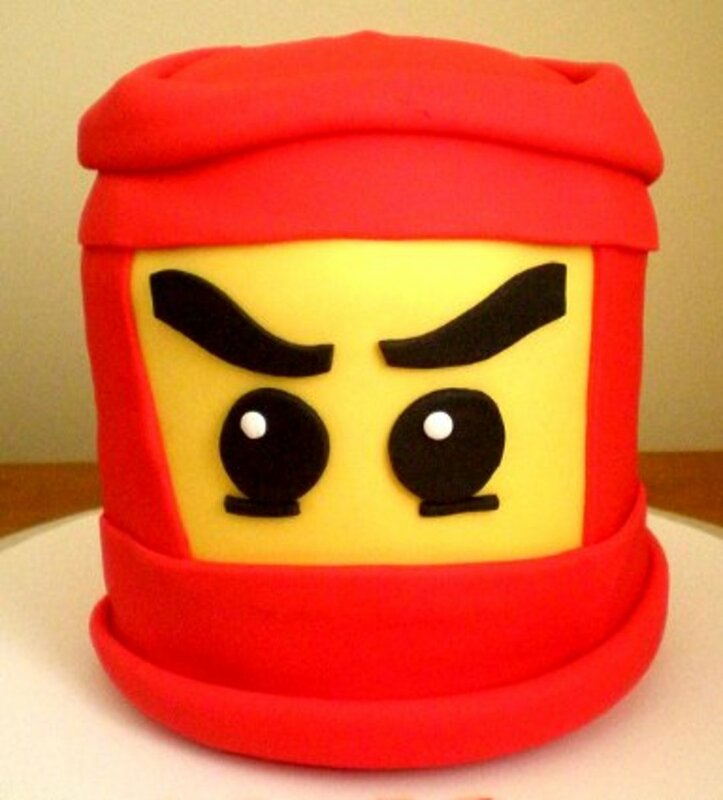 So if you are hosting a ninja-themed birthday party for your child, read further for several ideas and helpful tips I learned while planning our son's party. 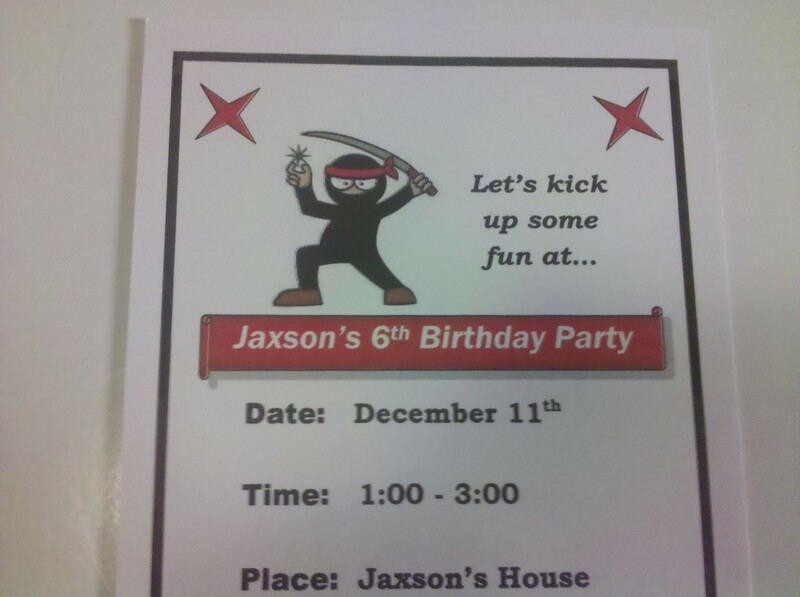 If you are handy on the computer, do it yourself birthday invitations are a great way to cut down the cost of your ninja-themed birthday party. After asking my son what color of ninja he preferred, I found a cute black and red cartoon ninja character on the Internet. I copied this character image and pasted to the top of my 5 x 7 invitation template. After attaching your image, type out a cute saying on top of your invitation inviting your guests. I used the saying "Let's Kick Up Some Fun at Jaxson's 6th Birthday Party". Finish the do it yourself birthday invitation with the rest of the party details such as date, time, location, and RSVP. I do suggest using cardstock to create a more sturdy invitation. 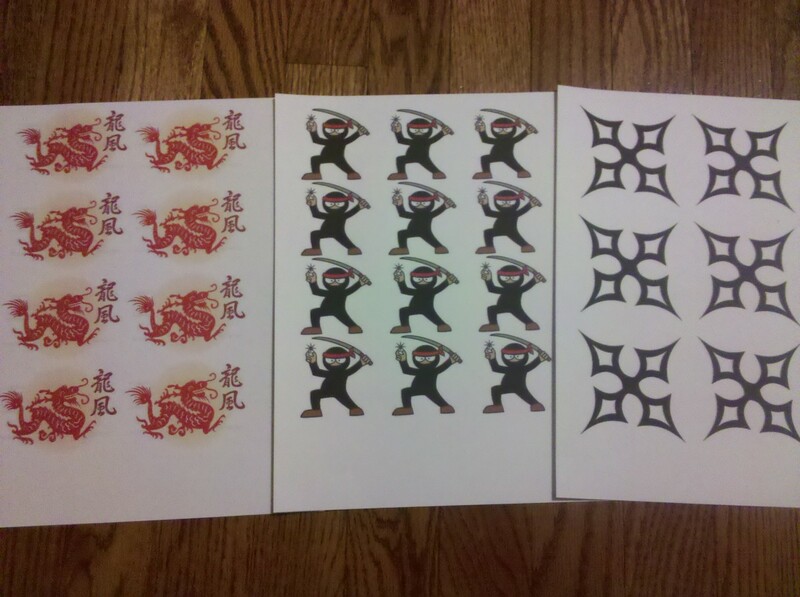 Using the same cartoon image along with ninja star and red dragon images, I printed out several copies of each image on cardstock. 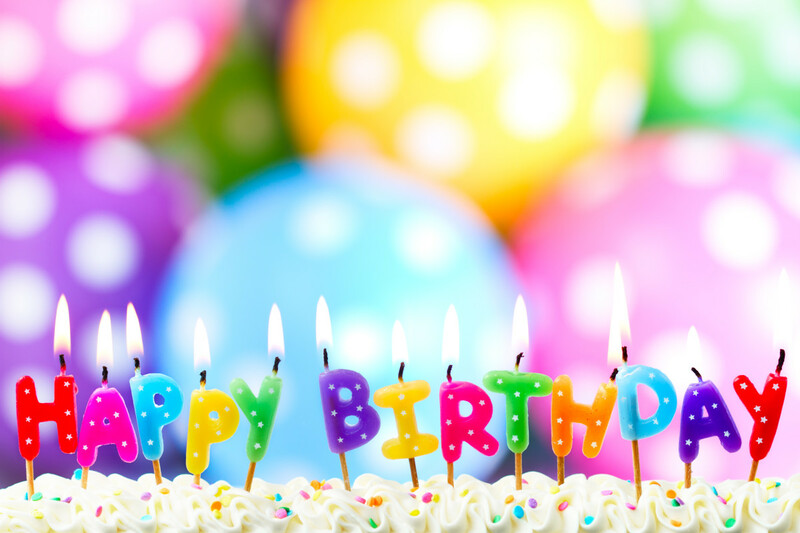 I cut each of them out individually and pasted a few of them on a happy birthday banner. I also attached a few of these images to some cardboard stars that I had leftover from a previous party to look like ninja stars and taped those throughout the kitchen as additional party décor. To spruce up the table, red and black spiral "ninja" star decorations hung from the light fixture. As far as tableware goes, this is probably the easiest part of the whole décor. Whatever ninja color your little one prefers, go with that simple color palette for the tableware. Since my little boy wanted red and black, I bought black tablecloths, red napkins, white plates, and red cups. Not having to buy the special character plates, cups, napkins, etc. saves a ton of money! 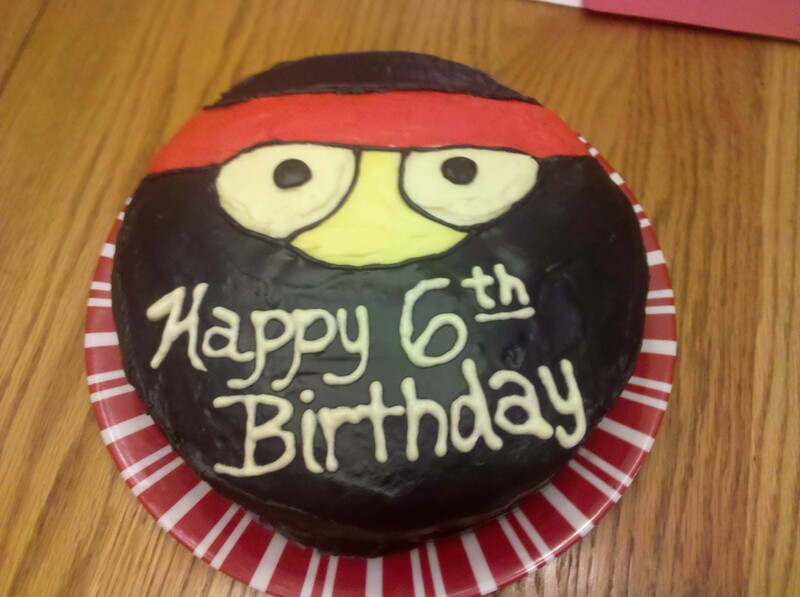 Instead of spending money at the bakery, I decided to try to make my own ninja birthday cake. Using a store bought cake mix and two 8-inch round cake pans, I created the face of my red and black ninja cartoon image. To make a true red and black colored icing, I did buy special food coloring at Walmart for about a couple dollars each. For all the kids, I decided to bake cupcakes with red and white icing and special ninja cupcake toppers created from my cartoon images. To make the cupcake toppers, attach your image to a toothpick with a small piece of tape and insert into the middle of the cupcake. Be sure not to let the image touch the top of the cupcake. You do not want your cute ninja cupcakes tainted with printer ink. Instead of the usual goodie bag, shop places like the Dollar Tree to give out one or two larger toys. One possible idea would be to give out a foam swords at the end of the party for them to continue the ninja fun at home. To end the birthday party, give your guests a goodie bag filled with all kinds of treats and ninja toys. I was thrilled to find some 2 per pack ninja action figures at the Dollar Tree. I also found some spinning tops and small colored erasers with a "ninja" star design. I put all these treats in clear goodie bags and filled the rest with candy. 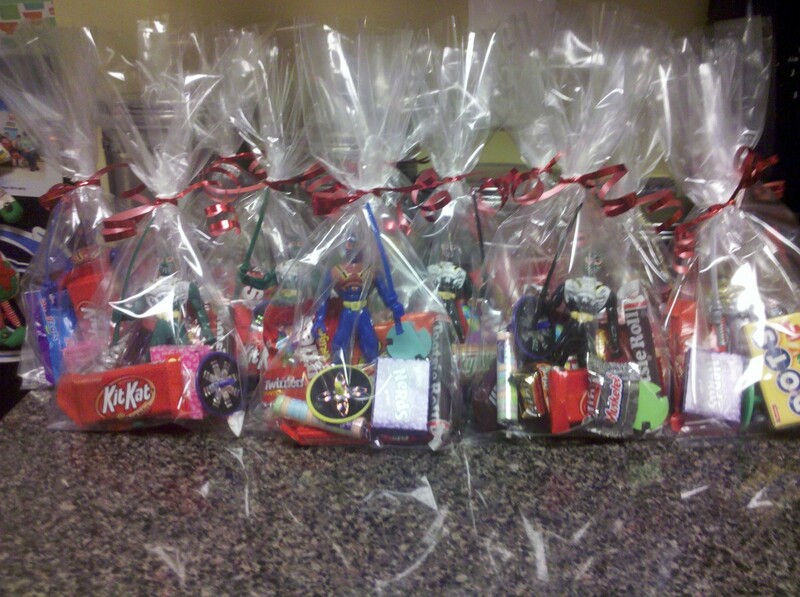 I finished the goodie bags with a red ribbon to keep with my red and black color palette of the party. Both of my boys were super excited to hand out the goodie bags to all their guests! Another good idea is to hand out foam ninja swords instead of the goodie bags. Sometimes you are able to find them for a dollar a piece, but unfortunately I could not find them before the party. The Dollar Tree did have some small glow in the dark swords but I stuck with the action figures to put in our ninja goodie bags. After all the time I put into planning this ninja-themed birthday party for my son, I was extremely pleased with the outcome. My son had the best time and even wore his red and black ninja costume to show off in front of our guests. I received many compliments on all the do it yourself party ideas and saved so much money in the process. So if you have the time and patience, create your own ninja-themed birthday party for your little one. These do it yourself party ideas are extremely easy if you are willing to put in the extra effort. 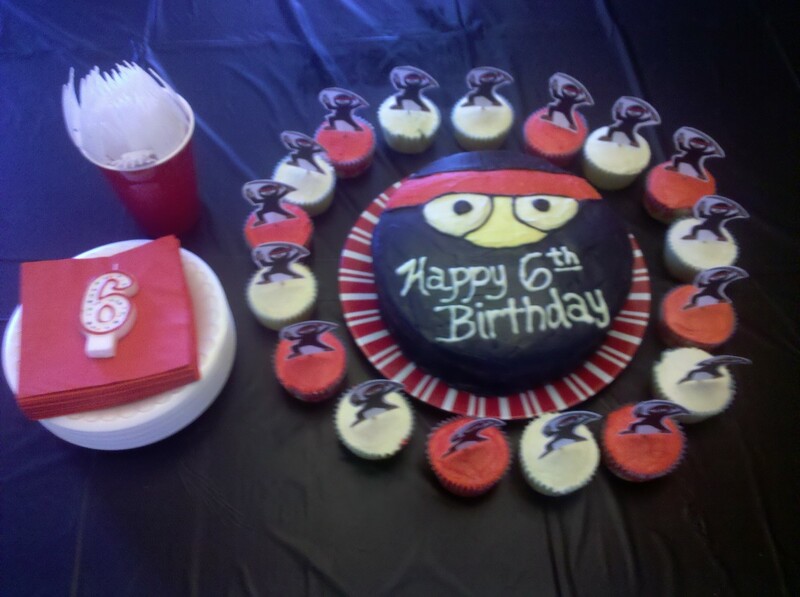 Hope my ideas help you to create a kicking good time at your ninja-themed birthday party! I have never heard of the Ninja Warrior but if my son ever saw it I am sure he would love it! You are very welcome for linking to your hub. 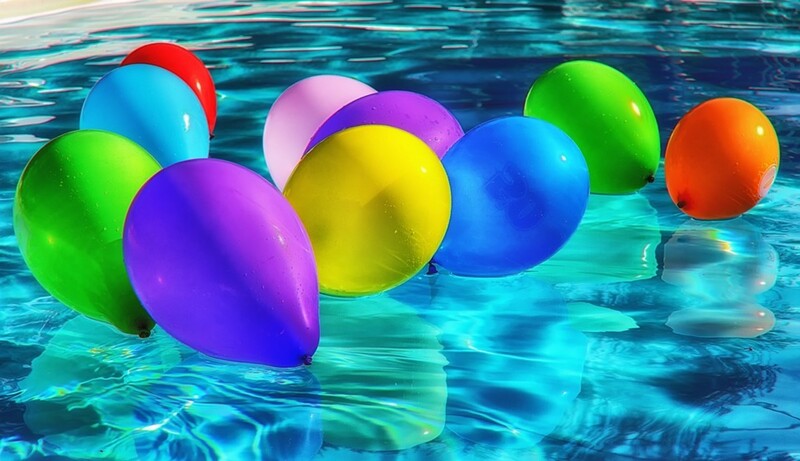 Wanted to show some other great ideas for throwing a birthday party without spending a fortune. Appreciate you stopping by and commenting! I love this! My son probably will want a ninja party next. We like watching "Ninja Warrior" on tv - it's a show from Japan where awesome athletes and normal people run a crazy obstacle course that really tests their strength (not like Wipeout - which is just funny). You've given me some great ideas. And bravo for going the extra mile but not spending a lot! I heart the Dollar Tree too! Oh and THANK YOU so much for linking to my Very Hungry Caterpillar theme party hub (my very first hub). Thanks so much janices7! So true - I use to be one of those people who went overboard back when we had two incomes coming in. Now I just have to get creative and do it myself. I have actually started to enjoy it. Appreciate you stopping by, commenting, and for the follow! So many cute ideas and I love your suggestions for saving money. Some people just go way overboard spending money for birthday parties and this just goes to show that you don't have to break the bank to throw a great party! Once you get all your ideas you want to use, it is really easy to do and can save a lot of money. Thanks so much for stopping by arusho! Great hub, I will have to try making goodie bags and cupcakes for my daughter's next birthday!! Thanks girltalksshop! 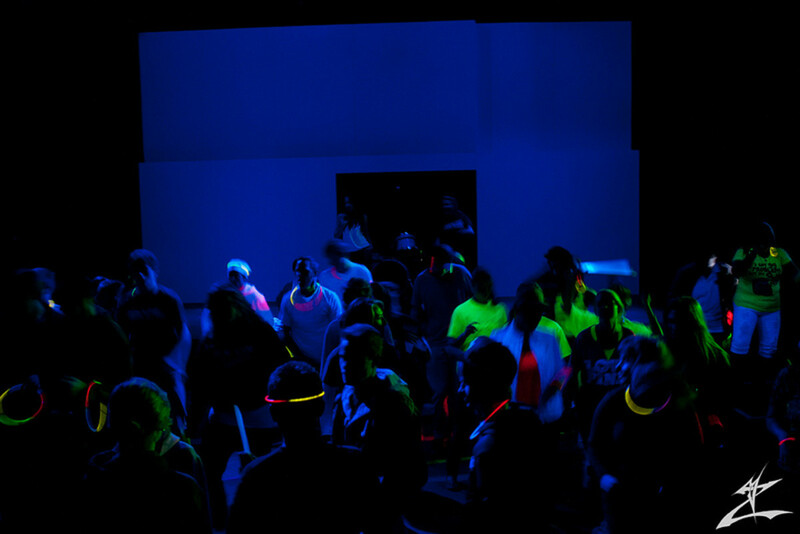 It was a fun party to plan - so happy to hear that it will be useful to others. Thanks for reading and commenting! 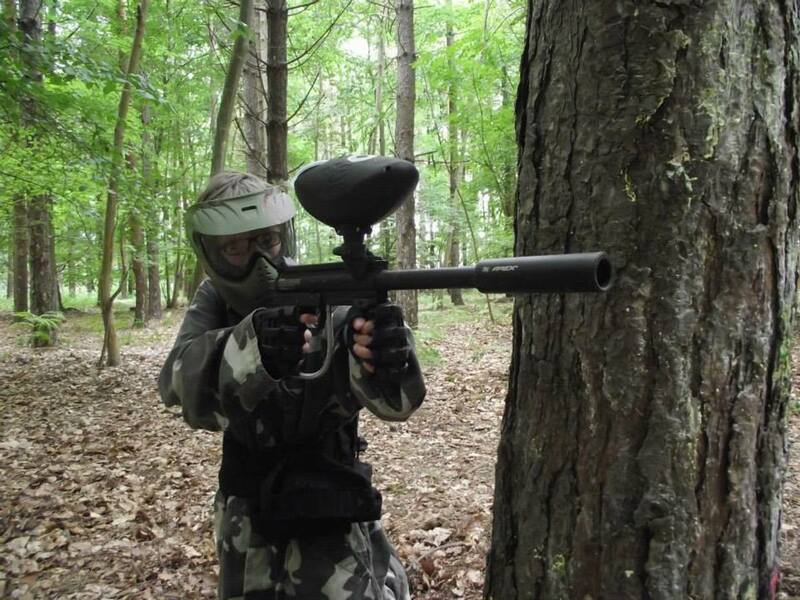 Cool stuff for boys! I miss the days my sons were young. Cute hub and very useful! Thanks so much rednickle! Appreciate you stopping by and leaving a comment!